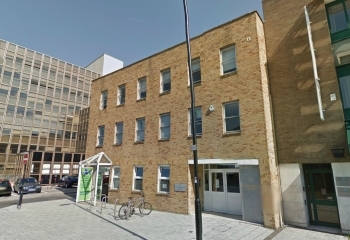 Southampton City Council: Pure Town Planning has just secured consent for another office to residential permitted development scheme in central Southampton for six flats. An earlier prior approval application for the first and second floors of the three storey office building was approved by Southampton City Council earlier in the year (see the post here) however there remained a question mark about the actual use of the ground floor of the building at the appointed date in the regulations (30 May 2013). Pure Town Planning worked with the owners to put together the evidence that on 30 May 2013 the building was indeed in B1(a) use and any non-B1(a) uses active at that time were either ancillary to the primary B1(a) use of the building or unlawfully introduced. The Council therefore decided to issue the consent which allows the whole block to now be converted into 20 flats. Now the race is on to get them converted in time! Remember this permitted development right has to be exercised before 30 May 2016 – that is the change of use has to be made so internal alterations must all be complete. If you want to take advantage of changing use of an office building before 30 May 2016 then you really MUST act now to stand any chance of it being done in time – why not give Pure Town Planning a call today to see if your premises qualifies?